Fielding her own ST52 Racing team and riding for a new manufacturer, Shayna Texter took on a big building year for the 2018 American Flat Track Singles season. 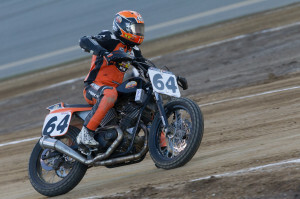 Entering her ninth professional campaign, the 27-year-old rider from Willow Street, Pennsylvania, formed a brand-new team – ST52 Racing – while bringing Husqvarna into its first full season of flat track racing. Results came quickly for Texter aboard her brand-new No. 52 Roof Systems/Parts Unlimited Husqvarna FC450. She won three races and repeated her 2017 showing by finishing a solid third in the final point standings. She ended the year on a high note, winning the season finale at the New Jersey Meadowlands by a mere 0.006 seconds – about three inches – to lock down third in the championship by six points. 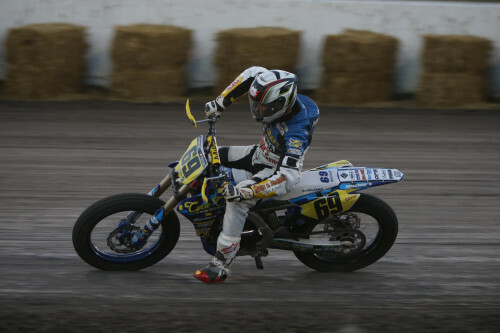 The Meadowlands victory – Husqvarna’s first on a mile – followed triumphs earlier in the season in half-mile races at the Allen County Fairgrounds and Black Hills Speedway. 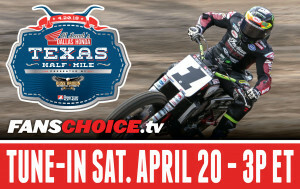 Texter finished the season with eight podium finishes. She upped her career total up to 16 main event victories, remaining the lone woman to win in Grand National Class competition. There were a few challenges along the way, but Texter demonstrated improvements on the shorter tracks throughout 2018. While she missed qualifying for six main events in 2017, Texter had better success in the preliminary rounds this past season, advancing to all but four of the feature races. That included the Springfield Short Track, where she finished a solid 10th in the main event. Included in her progress were the challenging TTs – courses that include at least one right-hand turn and a jump. 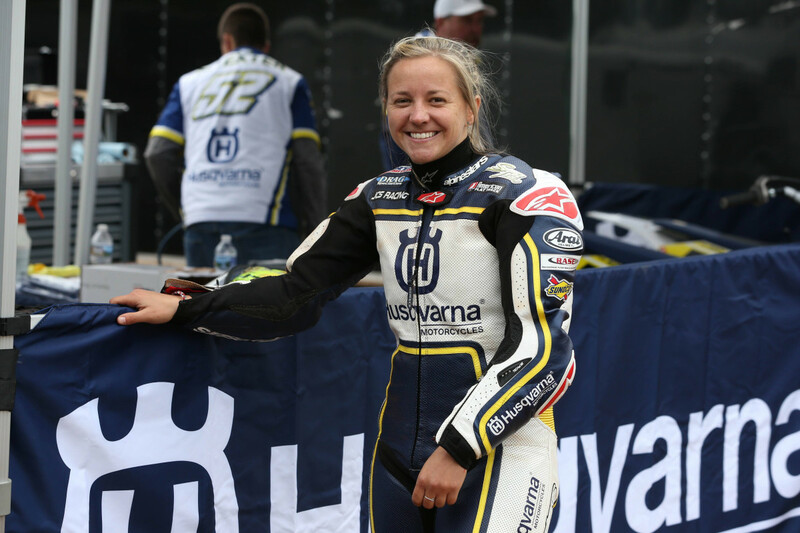 While she missed out on four TT main events, she advanced to the semifinal round at the historic Peoria TT. The 2018 AFT season also saw Texter continue to grow her audience with a wide range of media interest that included national coverage from the Associated Press, New York Times, Bloomberg and National Public Radio. Looking ahead, Texter is aiming even higher for 2019. It will be a busy off-season on a personal note for Texter. “I’m finishing college, wrapping up my bachelor’s degree at the California University of Pennsylvania,” said Texter, who is on target to receive her degree in exercise science in December. Texter is also working hard to finalize her plans for the 2019 AFT season as she looks to build on her big 2018.